Number 66 Knightsbridge sounds a grand address. And, indeed, it is. For, from the moment it opened in 1902, there has never been any doubt about the status of the Hyde Park Hotel as one of London’s finest hostelries. The building began life in 1889 as a combination of residential block and gentleman’s club, and its erection was not without controversy. To the folk of the day, its height was startling, particularly given its location – overlooking a Royal park – and questions were asked in Parliament about its propriety. But an aura of respectability was quickly secured. 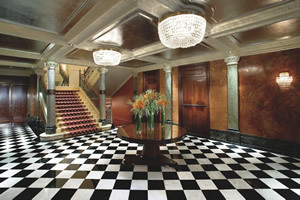 Soon the great Franco-Flemish pile on Knightsbridge was welcoming the great and the good from all over Europe, and the architects of The Ritz, Charles Mewès and Arthur Davis, added their own touch of glamour in the 1920s by remodelling some of the public rooms in their distinctive Louis XV style. Indeed, so much a favourite of the Establishment did the hotel become that it is reliably reported that The Queen and Princess Margaret first learned to dance within its walls. The Silver Cloud having had a fit of the hiccoughs, I arrived in my other (rather smaller) motor car. But the absence of the Royce did not diminish the proper manner in which I was received. I was immediately surrounded by half a regiment of porters, eager to see to my baggage. This keen and friendly efficiency was typical of the attitude I found throughout the hotel, and is something I have experienced at other Mandarin Oriental hotels. The Hyde Park is clearly in good hands. There are 198 rooms. Mine was on the sixth floor, on the Knightsbridge side. I therefore had an interesting view down that busy thoroughfare, towards the terra cotta dome of our most famous department store, Harrods. Number 608 is a ‘Mandarin Junior Suite’ and therefore £925 a night for two, breakfast extra. Its décor, traditional and welcoming, was to my liking. A proper hall, with fitted wardrobes (and a safe), had doors to the bedroom and to the bathroom. The former measured about 12 feet by 20 feet, and had its windows at the far end. The sitting area accommodated two easy chairs and a sofa (all upholstered in red) and a coffee table in the Chinese taste. 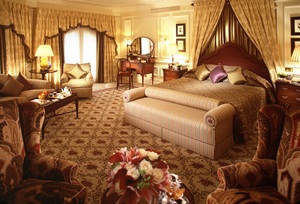 A gold-coloured carpet, curtains in gold satin silk, table lamps, gilt wall lights and pieces of furniture in polished mahogany (a writing desk, a chest of drawers and a cabinet to conceal the mini-bar) created a sense of comfort and discreet luxury. When I had worked out how to operate the cd player within the flat screen television receiver, I put on a little Mozart while I examined the pictures on the walls. These can sometimes be a trifle bland. (No hotelier, after all, wishes to offend the sensibilities of his guests.) But what did I find? In a frame of modest proportions was an engraving of Thomas Wentworth, Earl of Strafford. He was one of the most admirable Englishmen of the 17th Century, and a loyal subject of Charles I. His execution by the rebels, which the King could well have prevented, is a stain on the reputation of the Martyr King. And there was his portrait in my Junior Suite. I congratulate the person who decided upon this adornment. My bathroom held no such surprises. One does, after all, expect an hotel of this quality to provide surroundings of black and grey marble for one’s ablutions. This long, narrow room, with one wash basin, a loo, a bidet and a tub of good size, was equipped with toiletries by Jo Malone, a pair of scales and a well-placed shaving mirror. The last was quite unusual. I have suffered too many shaving mirrors in hotel bathrooms which can have been useful only to professional contortionists. Since my last visit, the eating arrangements had changed. 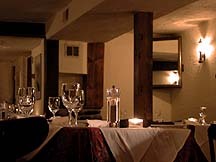 Now two, highly regarded, dining rooms were available. 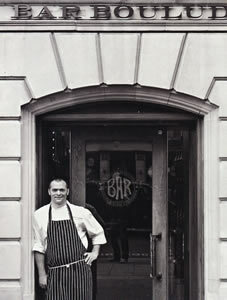 Heston Blumenthal’s restaurant, ‘Dinner’ (pictured), has received many ecstatic reviews for its revival of traditional recipes from England’s past. I visited it not for dinner, when Mr Blumenthal’s regime applies, but for breakfast. It is a handsome chamber, with high ceilings and views over Hyde Park. There was no buffet, so all my food was brought to me by waiters dressed in grey waistcoats. The system is à la carte, the portions are generous, the presentation on the plate is in the modern style and the quality of the food is high. My breakfast of corn flakes, mushrooms on toast, bacon, toast, fruit, orange juice and coffee was, including service, about £40. 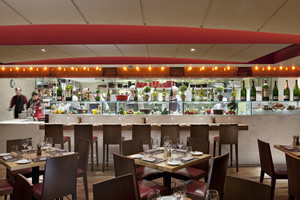 My other eating was done in the Bar Boulud (pictured). 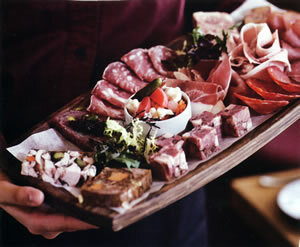 Chef Daniel Boulud was born in Lyon, and is now an established star of the culinary world in New York. His restaurant there, Daniel, has three Michelin stars and has provided me with several fine meals over the years. His outpost here, on the lower ground floor of the hotel, takes the form of a wine bar and a spacious bistro. Designed by Adam Tihany, the rooms make much use of zinc, oak and leather. The walls, appropriately, are adorned with photographs of the bistrots of the Chef’s home town, and the menu offers classic French seasonal cooking, with some excellent terrines and pâtés made on site. The Executive Chef is Dean Yasharian (pictured). I can report that this young man from New York is doing a very good job indeed. For dinner, I sat at table number 53. From there I could see the open kitchen, as well as be slightly removed from the busy environment all around, for this is a very popular place. The wooden tables, the spotlights and the waiters in their plum-coloured shirts, as well as the evident enjoyment of my fellow diners, created an atmosphere which was pleasantly jolly. Jeremy Verna, one of the Assistant Restaurant Managers, ensured that the service I received was friendly, efficient and properly paced. This was, indeed, a thoroughly enjoyable evening. The wine list is substantial and impressive. 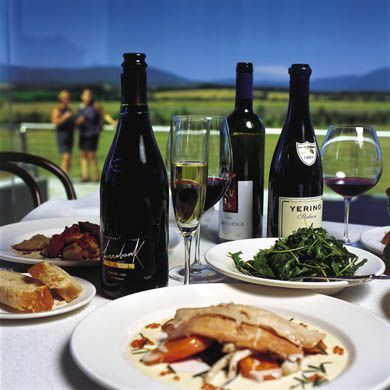 Prices run from £21.50 for a white vin de pays d’Oc to £13,000 for the 2001 Romanée-Conti. The Rhone and Burgundy sections are impressive, but there are lots of good things from elsewhere. The following caught my eye, and will give a good idea of the prevailing mark-up: 1997 Penfolds Grange (£590), 1999 Screaming Eagle (£6,200), 1999 Dominus (£250), 1999 Mouton-Rothschild (£875), 1990 Pétrus (£11,500) and 1945 Yquem (£2,750). Assistant Sommelier Fabrice Trechot brought me a glass of German riesling, with lots of fruit and a hint of petrol (Egon Müller, 2009 - £14.25), and a bottle of superb shiraz from the Barossa. It had a screw top, which still takes me aback, but its contents, oozing with ripe back fruit, summed up what I love about these big Australian offerings (‘Entity’, John Duval, 2007 - £52). 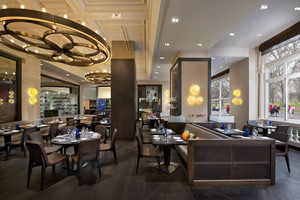 I returned to the Bar Boulud the next day for tea (£26). This time I sat in the front of the two rooms, quite near to the bar. This was not – at least for me – a typical setting for the afternoon ritual. But I must say that the service – here I must award another ten out of ten for another splendid Assistant Restaurant Manager, Daniel Alvaravo from Colombia – was entirely correct, and the food was tip-top. As far as the finger sandwiches, pastries, scones and madeleines were concerned, I do not think I have had better. Indeed, the crab and avocado sandwich almost made me go weak at the knees. And the beverage itself – I had English Breakfast, but there are lots of more exotic brews on the menu – was properly made with leaves and poured through a strainer. I drove away from the Mandarin Oriental Hyde Park Hotel in a happy mood. 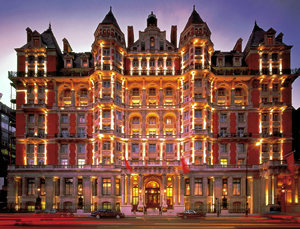 It was clear in my mind: I had stayed at one of London’s great hotels. Number 66 Knightsbridge is, without doubt, a very grand address. 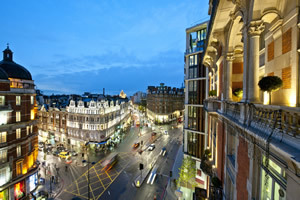 66 Knightsbridge, London SW1X 7LA, England.